The States General Life Insurance Company closed its doors in 2005. The company was based in Fort Worth, Texas and was licensed to do business in twenty-five US states. When an insurance company becomes insolvent and is forced to close, its existing policies are transferred to other companies who will continue coverage. Such was the case with States General. States General had three major business lines, life insurance, major medical programs, and Medicare supplemental insurance. Each block of business was transferred to another insurance provider. 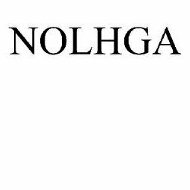 NOLHGA is the acronym for the National Organization of Life and Health Insurance Guaranty Associations, http://www.nolhga.com. These associations were established to protect policyholders from suffering losses as a result of the closure and/or insolvency of a member insurance company. These services are available in all 50 states and protect policyholders and their assigns and beneficiaries. Most types of direct insurance policies are covered but only up to certain established limits. Policyholders must continue to make payments in order to keep their insurance in force. General regulations, rules and other frequently asked questions may be found by contacting the guaranty association in your state or visiting the NOLHGA website. A listing of state associations may also be found there. States General major medical and supplemental health policies were transferred to the New Era Life Insurance Company in Houston, Texas. New Era Life was founded in 1924 and is part of a family of independent insurance companies, which includes New Era Life, Philadelphia American Life, and the New Era Life Insurance Company of the Midwest. New Era’s goal is to provide affordable and high quality insurance products along with excellent service to its customers. New Era features a health saver program designed to make benefits more accessible and understandable as well as affordable for its clients. Long-term and critical care policies are available with lump-sum cash benefits of up to $50 thousand. New Era also markets a special accident expense program with an optional disability rider. This program provides clients with the means to cover accident related medical expenses and replaces lost income due to accident related injuries. For more information please call, 800-552-7879 or e-mail [email protected]. New Era annuity plans are offered only in Texas. Interest rates are guaranteed for either a three or five-year term, on these deferred annuities, which are based on single premiums. New Era offers several standard plans to cover coinsurance, co-payment, and deductible portions of Medicare Part A and B programs. Other plans are available which cover additional costs associated with nursing homes, additional days of expenses not covered by Medicare and the costs of medical services incurred while traveling outside the United States.